In his new autobiography of his brief stint in Canadian politics, Fire and Ashes: Success and Failure in Politics, Michael Ignatieff couched his opposition to the parliamentarians’ oath of allegiance in familiar republican tropes. Your awareness of what these responsibilities [as an MP] are begins when you take your oath of office in a wood-panelled room near the House of Commons chambers on Parliament Hill. What surprised me is that the oath included nothing about the people who had voted me into office. Instead, as in all Commonwealth democracies like ours, I swore an oath to Her Majesty the Queen and her heirs and successors. The “heirs and successors” part stuck in my throat, since I think we ought to decide, when the current Queen dies, whether to continue to acknowledge her family as our sovereign. Even if we continue to do so, there’s a strong case that defines the basic allegiance to elected representatives towards their citizens. Other democracies have this. For all my very real admiration for Her Majesty, I didn’t believe [that] I had responsibilities to the Crown alone. Our current oath of allegiance reinforces rather than reduces the gulf between the representatives and the citizens [whom] we represent. It seems regrettable that I was not able to swear to uphold the Canadian Constitution and to defend the rights of the people of Canada. I transcribed the entire paragraph because it contains several interesting (and perhaps, unintentionally revealing) little quirks. For instance, he talks of the oath in terms of the obligations of “elected representatives toward their citizens.” First, both elected MPs and appointed Senators swear this oath or affirm this solemn affirmation, so being an “elected representative” is not a necessary condition. Second, “their citizens” strikes me as an usual phrase, because citizens, be definition, are not in anyone’s possession. Normally one would say “their constituents.” Ignatieff also made two significant errors; one shows profound ignorance of the constitution, and the other shows that Ignatieff made up an event that could not possibly have happened for literary effect after drawing upon the wording of different oaths of allegiance. Ignatieff must have been drawing upon his career as a journalist — a trade in which one takes a certain licence — rather than his career as a scholar. If I were to present a demonstrably false, unsubstantiated statement as an argument in one of Ignatieff’s classes, he would quite rightly give me a bad mark accordingly. I, A.B., do swear, That I will be faithful and bear true Allegiance to Her Majesty Queen Victoria. Note.—The Name of the King or Queen of the United Kingdom of Great Britain and Ireland for the Time being is to be substituted from Time to Time, with proper Terms of Reference thereto. The oath now reads, “I, A.B., do swear (or affirm) that I will be faithful and bear true Allegiance to Her Majesty Queen Elizabeth II.” Only a constitutional amendment could change this wording, though such an amendment would probably fall under section 44, which allows the Parliament of Canada alone to change the provisions of the Constitution Acts relating to “the executive government of Canada or the Senate and House of Commons.” It would probably fall under section 44, and not section 41(a) because this particular oath pertains to the House of Commons and Senate as houses of Parliament, not to the Crown-in-Parliament as a whole, and therefore not to “the office of the Queen” under section 41(a); both the Commons and Senate enjoy the parliamentary privilege to regulate their affairs and determine the qualification, or disqualification, of members therein. Since the Commons and the Senate can each vote to disqualify members for breach of oath, they could change the oath, and the Governor General would have to give the bill Royal Assent. I also argued in an earlier entry that the Parliament of Canada should update the oath so that it reads: “I swear (or affirm) that I will be faithful and bear true allegiance to Her Majesty Queen Elizabeth the Second, Queen of Canada, Her Heirs and Successors, according to law.” We should update our oath to reflect Canada’s constitutional evolution. In 1867, when the parliamentarians’ oath was written, the “one and indivisible Imperial Crown” reigned over the United Kingdom and all the Crown colonies; but in the mid-20th century, the Imperial Crown multiplied into a personal union as the self-governing Dominions became independent, sovereign States. In short, Canada, Australia, and New Zealand became independent, sovereign States only when they gained separate Crowns, i.e., separate corporations sole, or legal persons, that formed the personal union. According to the Library of Parliament, and O’Brien’s and Bosc’s manual on parliamentary procedure, and Marlot’s and Montpetit’s earlier edition of the same, the current parliamentarians’ oath or solemn affirmation does not include the phrase “heirs and successors, ”so it could not possibly have “stuck in his throat” when he took the parliamentarians’ oath in 2006. He may have used this device for literary effect and to transition into his general opposition to the oath and on the Crown of Canada. 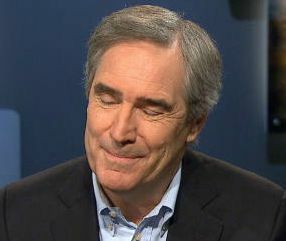 Ignatieff uses the phrase “stuck in my throat” as a polite and subtle way of saying that he had difficulty swearing the oath because he has reservations about constitutional monarchy; in other words, he had to swallow his pride and objection in order to become a Member of Parliament and a Privy Councillor. This reservation is ironic given Igantieff’s own aristocratic background; after all, his grandfather Count Pavel Ignatieff served as Czar Nicholas II’s last Minister of Education. I could certainly understand objecting to a Russian-style monarchy or holding reservations toward a Hanoverian-style monarchy, for I would share them! But the modern British model of constitutional monarchy upholds Responsible Government, liberty, and the rule of law. 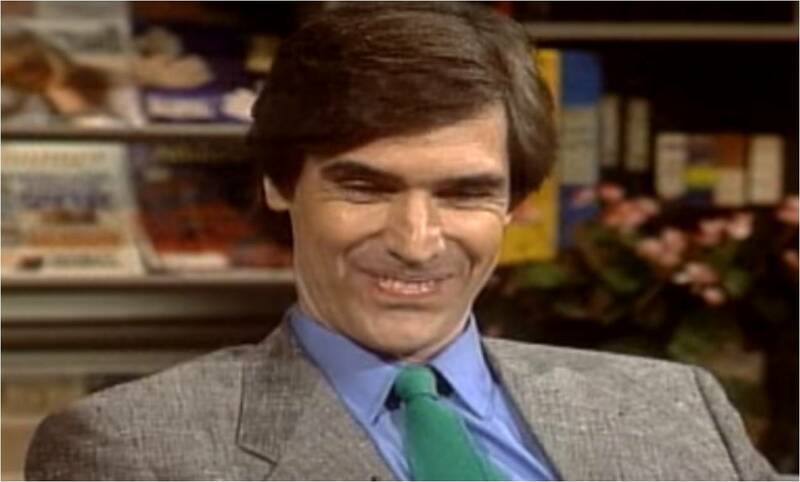 Ignatieff became a Privy Councillor in 2009 and thus had to swear a second oath of allegiance to the Queen of Canada. But even the Privy Councillor’s oath does not include the phrase “heirs and successors”! (I was surprised that it does not, but perhaps it is also an older form, like the parliamentarians’ oath). Other Canadian oaths of allegiance — those for naturalized citizens, personnel in the Canadian Armed Forces, and members of Law Societies — do include the phrase “heirs and successors,” and the latter two also tack on the phrase “according to law” at the end. He may have conflated the parliamentarians’ oath with the oath of allegiance for naturalized citizens or that for members of the Canadian Armed Forces. Even so, this is an easily verifiable piece of information — even if he takes licence with his own memories as with some of the facts! I, __________, do solemnly and sincerely swear (declare) that I shall be a true and faithful servant to Her Majesty Queen Elizabeth the Second, as a member of Her Majesty’s Privy Council for Canada. I will in all things to be treated, debated and resolved in Privy Council, faithfully, honestly and truly declare my mind and my opinion. I shall keep secret all matters committed and revealed to me in this capacity, or that shall be secretly treated of in Council. Generally, in all things I shall do as a faithful and true servant ought to do for Her Majesty. I, ________________________, do swear/affirm that I will be faithful and bear true allegiance to Her Majesty Queen Elizabeth II, Her Heirs and Successors according to Law. So help me God. I swear (or affirm) that I will be faithful and bear true allegiance to Her Majesty Queen Elizabeth the Second, Heir heirs and successors according to law. Second, Michael Ignatieff adopts the standard republican line that “after the current Queen dies,” Canadians should engage in a debate that would ultimately lead to abolishing the Crown of Canada and proclaiming the First Federal Republic of Canada. In classic Liberal ambivalence and contradiction, Igantieff simultaneously expresses his “very real admiration for Her Majesty,” but then shrouds his deliberately ambiguous endorsement of republicanism in the language of democracy, the general will – and the politician’s best friend: plausible deniability. Duff Conacher and Andrew Cohen of the mendacious “educational charity” Your Canada, Your Constitution have endorsed the same rhetorical approach. They promote this tactic as if the Government of Canada could somehow delay proclaiming the Prince of Wales as the next King of Canada and leave the Crown vacant until Canadians vote in a referendum on whether to abolish the Crown and the line of succession. On its surface, this idea may sound reasonable and logical; in fact, it contradicts the nature of the Crown and succession to the Crown. The Crown of Canada is a corporation sole and operates on the principle of automatic hereditary succession. Several British scholars – Blackstone, Halsbury, Allen, and others – have written extensively on this fact since the 18th century, and the Crown of Canada inherited this body of law and precedent when it emerged as a separate legal person in the 20th century. As such, when the reigning Sovereign dies, his or her heir and successor immediately becomes the Sovereign, as prescribed by law; succession thus ensures the continuity and perpetuity of the State and government. This is why the terms “King,” “Queen,” “Crown,” “His Majesty,” and “Her Majesty” enjoy legal-constitutional equivalency. Logically, you simply cannot say that you are loyal to the Her Majesty the Queen but oppose the Crown – because they are inseparable and both refer to the same legal personality: the corporation sole known as the Crown of Canada. The king, for instance, is made a corporation to prevent in general the possibility of an interregnum or vacancy of the throne, and to preserve the possessions of the crown entire; for immediately upon the demise of one king, his successor is, as we have formerly seen, in full possession of the regal rights and dignity. All the major oaths of allegiance for public office in Canada, except the parliamentarians’ oath, include the phrase “heirs and successors” and thus make clear that they refer to the Crown of Canada in its corporate capacity, not to the personal capacity of the current reigning Sovereign. Ignatieff’s usual wording on “continuing to recognise [The Queen] and her family as sovereign” is thus (perhaps unintentionally) accurate, because the perpetuity of the corporate person known as the Crown of Canada does indeed depend upon the line of succession, as prescribed by law. As Blackstone says, a corporation sole includes both the current natural person and his successors. That old expression, “The King is dead — long live the King!” sounds superficially absurd, but it in fact conforms to the fundamental nature of the Crown. The natural person who personifies the legal person dies for the time being, but the legal person lives on in perpetuity because another natural person immediately takes the place of his predecessor and ensures the continuity of the corporation sole. In other words, to invoke another old expression, “The King never dies” (unless a constitutional monarchy turns itself into a republic by abolishing the Crown altogether). If republicans want to precipitate a debate on the Crown of Canada, and whether Canadians should abolish it, they should not subsist on this forlorn, false hope that the death of the reigning Sovereign would present them with the perfect opportunity – it won’t, because succession occurs automatically. The Government issues a proclamation acknowledging the demise of the Crown from one reigning Sovereign to the next; this proclamation does not cause the succession – so an anti-monarchist Government could not force an interregnum by refusing to issue this proclamation or make it subject to a referendum or constitutional conference. The Crown of Canada is a corporation sole and thus enjoys legal perpetuity unless and until it were abolished and dissolved altogether. In short, the succession of one reigning Sovereign to another does not provide some kind of opportune time to start this debate. The politics and perception do not overcome the legal-constitutional realities of succession. Ignatieff’s final suggestion that MPs swear an oath of allegiance to the Constitution and to “defend the rights of the people of Canada” stems from a dangerous current of political Romanticism. The “Queen of Canada” has an objective legal meaning; Elizabeth II personifies the Crown of Canada and represents the country in both political senses of the word (the State and the political nation), and the Crown of Canada –a legal person subject to law – provides the basis for all executive, legislative, and judicial authority. The oath or affirmation of allegiance to the Queen therefore reflects Canada’s constitutional monarchy and legal-constitutional position. Section 9 of the Constitution Act, 1867 vests executive authority in the Queen, and section 17 establishes the Crown-in-Parliament as the Queen, Senate, and House of Commons. A bill only becomes law upon Royal Assent, and an order-in-council or proclamation is only promulgated with the Crown’s approval. In addition, the oath of allegiance that all parliamentarians must swear or affirm before taking their seats appears in the fifth schedule to the Constitution Act, 1867. The basic form of the oath therefore forms part of the Constitution of Canada. The other oaths are statutory, but flow from the Constitution. Perhaps Ignatieff was alluding to the United States in the phrase “other democracies.” If so, his analogy still would not hold up. All official American oaths of allegiance – those of congressional representatives, the President, personnel in the armed forces, and naturalized citizens – refer to the Constitution of the United States, because it forms the basis of all legislative, executive, and judicial authority in and over the United States of America. Americans do not pledge allegiance to the United States itself, nor to “the people,” nor to “the nation.” (The Pledge of Allegiance, in which American schoolchildren express loyalty to the flag, is not a legal oath of allegiance or oath of office). When Members swear or solemnly affirm allegiance to the Queen as Sovereign of Canada, they are also swearing or solemnly affirming allegiance to the institutions [that] the Queen represents, including the concept of democracy. Both the Canadian and American oaths affirm the rule of law and thus acknowledge a higher authority to which we are all bound and which we must obey in order to maintain our tradition of ordered liberty and civilized society. In contrast, an oath to “the people” or to “the nation” would be dangerous in principle, because it substitutes the general will for the rule of law and law-governed liberty. An oath to “citizens” or to “the people of Canada” means absolutely nothing, and could thus be used to justify anything. An ambiguous pledge to “Canada” alone lacks an objective grounding in law and the constitution and could refer to either the country as in State or as in patria, or to the people, or to be left to each individual’s own interpretation. “Defending the rights of the people” sounds like a euphemism for the Charter of Rights and Freedoms, which forms part of the Constitution and thus falls under the ambit of the current oath. Pledging allegiance to the Queen also means pledging allegiance to the Constitution of Canada, and to the rule of law, because the Crown forms the basis of all legal-constitutional authority in and over Canada. Under a constitutional monarchy the Crown is and must always be subject to law. Michael Ignatieff, Fire and Ashes: Success and Failure in Politics (Toronto: Random House Canada, 2013), 93. I will also explain in more detail later why the note does not support the Government’s argument that the Queen of the United Kingdom automatically becomes the Queen of Canada. Essentially, this is other one of the many anachronisms that now riddle the British North America Act, which was written when there was a one and indivisible Imperial Crown. The written constitution has not been updated to reflect Canada’s transition from self-governing Crown colony to an independent and sovereign state. And since the “Constitution of Canada” consists of codified and uncodified elements, the written constitution often does not reflect the true constitutional position. Other anachronisms include the provision that allowed the Governor General to reserve bills for the consideration of the British Cabinet. That procedure dates to an era where the Governors were and acted as agents of the British Government through the Colonial Office; it became obsolete in practice after the British issued new Letters Patent in 1878, and it became obsolete absolutely upon the passage of the Statute of Westminster, 1931. The latter two oaths also contain the phrase “according to law,” which pertains directly to succession to the Crown and begs the question of “which law?” (The answer is that Canada has always had its own laws on succession through the Doctrine of Reception, and after 1937, because of an act of the Parliament of Canada). Sir William Blackstone, Commentaries on the Laws of England in Four Books. Notes selected from the editions of Archibold, Christian, Coleridge, Chitty, Stewart, Kerr, and others, Barron Field’s Analysis, and Additional Notes, and a Life of the Author by George Sharswood. In Two Volumes, Volume 1, Books I & II, edited by George Sharswood (Philadelphia: J.B. Lippincott Co., 1893), 467. Sir William Blackstone, Commentaries on the Laws of England in Four Books. Notes selected from the editions of Archibold, Christian, Coleridge, Chitty, Stewart, Kerr, and others, Barron Field’s Analysis, and Additional Notes, and a Life of the Author by George Sharswood. In Two Volumes, Volume 1, Books I & II, edited by George Sharswood (Philadelphia: J.B. Lippincott Co., 1893), 469. I have been a fan of Michael Ignatieff for about 20 years since his documentary on the breakup of Yugoslavia. However, he has shown his idle-mindedness and lack of common sense with this opinion on the Oath & Monarchy. If Canada ever became a republic, like all republics it would devolve into political bickering, and break up into about three countries within fifty years. Our Royal & British Heritage is our ‘national heritage’ – as opposed to ‘community heritage’ — which is fundamental to uniting a vast country like Canada. Loyal French-Canadians in Quebec would have little attachment to a Republic of Canada, and political schism between West and East would be inevitable when you would have nothing but politicians to unite a Republic. Just look at America! These republicans are stupid fools who seek to destroy Canada! Just one more reason why Mr. Ignatieff failed so miserably when he ran for office in Canada.